Every New Jersey homeowner should install smoke detectors o n each level of the home, including the basement. You should also make certain that there is a smoke detector outside every separate bedroom or sleeping area. 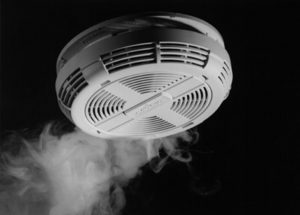 Homes in Wharton, NJ are required to have a smoke alarms installed and properly working. A smoke alarm can save your life. You should have a professional electrician test your smoke detectors in your home at least once a month or few times a year. Your smoke alarm needs to be checked after a battery change to make sure that it is working properly because only a functional smoke detector will serve it’s purpose. Our expert electricians in can install, test and replace the smoke detectors in your home so you can feel confident that you and your family will be prepared in case of a fire. Carbon monoxide is an odorless, tasteless and colorless gas that can be present in your New Jersey area home without you noticing it. This odorless gas kills more people annually in America than any other type of poisoning . The side effects of carbon monoxide poison act similar to flu-like symptoms, which makes this type of poisoning easily misdiagnosed or ignored. This potentially lethal gas can build up in any New Jersey home that uses oil, gas, propane, wood or coal-fired appliances. You can protect you and your family from being exposed to carbon monoxide poisoning by having your combustible appliances serviced and checked regularly. Another critical step to prevent carbon monoxide poisoning is to have a electrician install carbon monoxide protectors in your home. 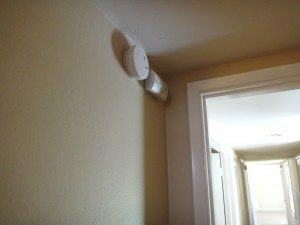 This alarm is extremely beneficial because it warns of low level accumulation of carbon monoxide which can prevent a more serious situation from developing.